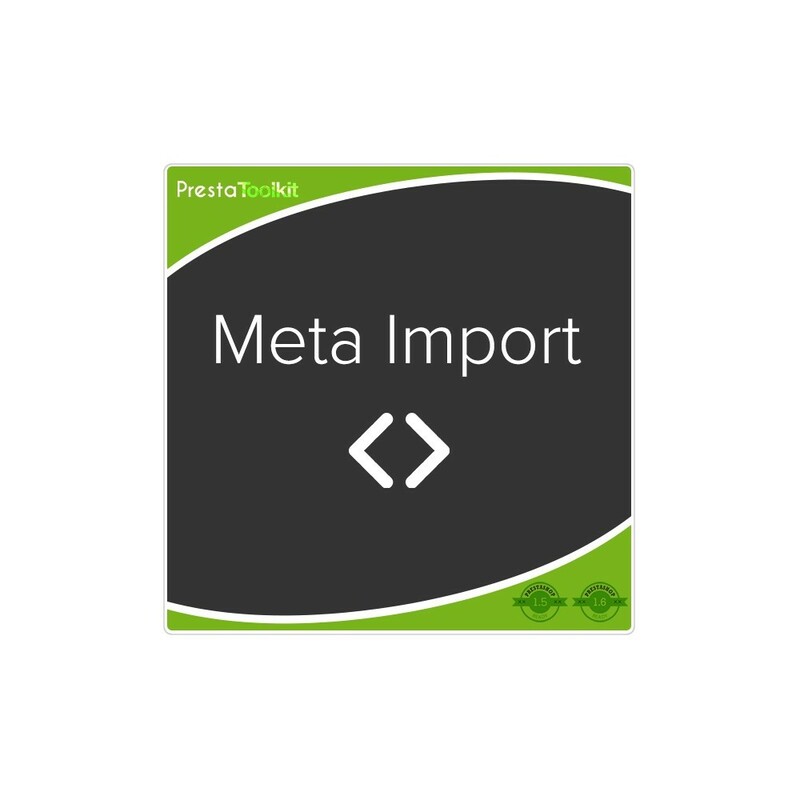 Meta import allows you to add or edit meta information such as meta title, meta keywords, meta description in bulk. With just click of a button you can add/edit hundreds or thousands of meta information and save your time. You can import meta information from csv file so you don't have to do tiresome process of adding/editing each of product, category or cms page by yourself. 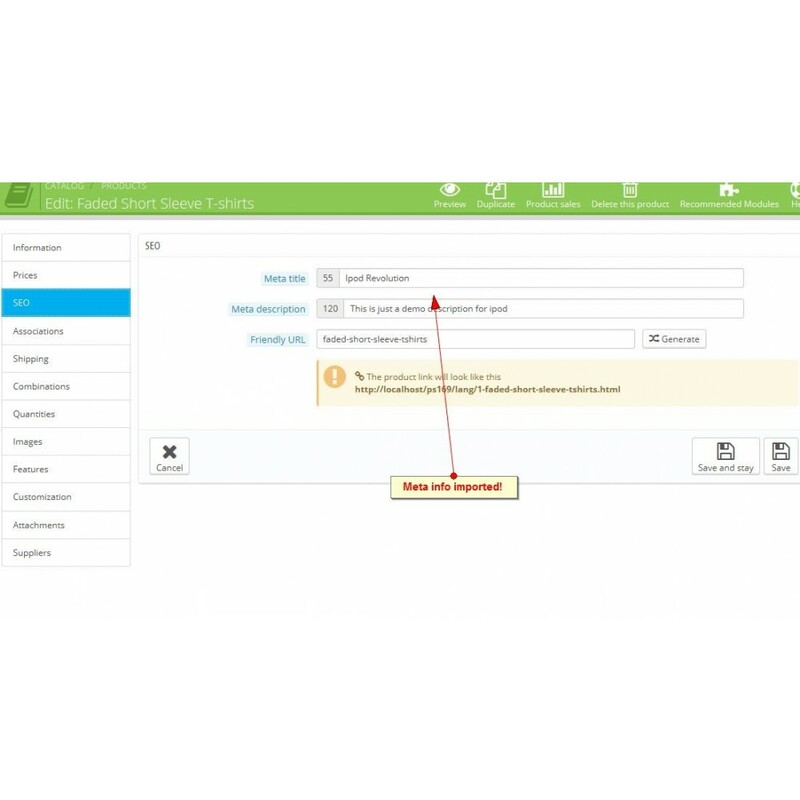 It also allows you to add/edit meta information for only specific products, categories or cms pages. It's a must have tool for your back office. Add meta information in bulk in one click of a button. Add or edit unlimited number of rows in csv file and this module will process it in no time. Import meta information for Products. Import meta information for Catalog categories. 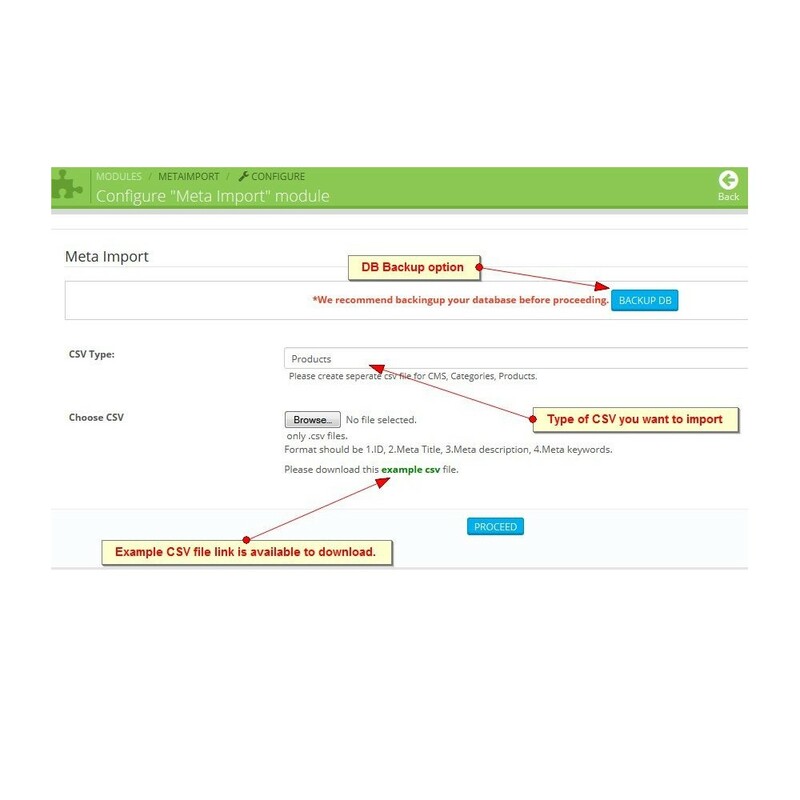 Import meta information for CMS Pages. Supports multiple languages in your stores. Add/Update meta info for multiple stores and languages from same csv file. Lightening fast, safe and quick action.